If you're looking for meaningful jewelry for Mom, look no further than this pendant from Posh Mommy! 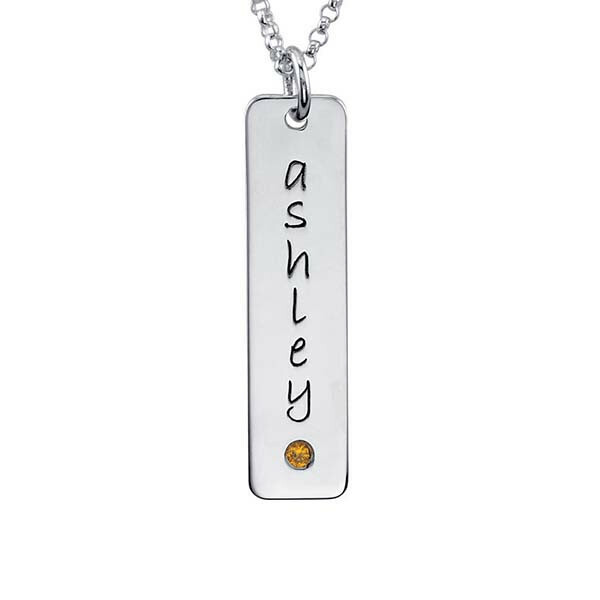 Crafted in sterling silver, it features a long and lean tall tag with a simulated citrine gemstone, one of the birthstones for the month of November. The piece has room for eight characters of personalization. The pendant is a simple and stylish way to show her how much you care. The chain is sold separately.